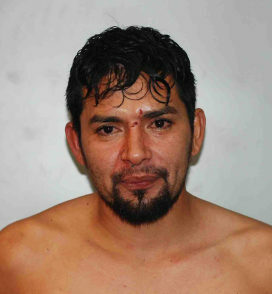 Does This look like the face of a drunk burglar from Annapolis who hit a dude with a chair and was citizen arrested by the guy he hit shorty after? An Annapolis man has been charged with entering a home late at night while drunk and hitting a resident with a chair. Police say residents in the 1000 block of Forest Hills Avenue were sleeping at 12:41 a.m. Saturday when they were awakened by a noise from the kitchen. There, a man found a burglar who had apparently entered through an unlocked door. The burglar, who was intoxicated, struck the resident with a chair and injured him, but the man was able to hold the burglar down until police arrived. This dude has to be the worst burglar ever. 1.) Never show up to the job drunk. 2.) If your going to attack a dude with a chair, make sure you knock him out, 3.) Who robs a house at 12:41am? Try maybe 3 hours later, or even in the morning when people are at work…Rookie mistake. Bladimir just didn’t plan this one out properly. I’m sure the massive amount of tequila/malt liquor he drank that night didn’t help much either. Burglars are getting sloppy now that amateurs are hitting the block. A new waive of criminals has to be surging because of the poor economy, no jobs, government shutdown, etc. I for some reason suspect Bladimir is one of these guys, or he owes his meth dealer a ton of money. When I first read this story, I immediately thought of a WWF cage match fight. Bladimir comes in hot with the early chair to the dome. A couple of soft punches landed by Bladimir and the other dude comes back and wraps up Bladimir in a submission. I wish there was someone there to capture this on tape. Would be have been some fine cinema. This entry was tagged Baltimore Crime, Drunk Burglar, Randy Orton. Bookmark the permalink.